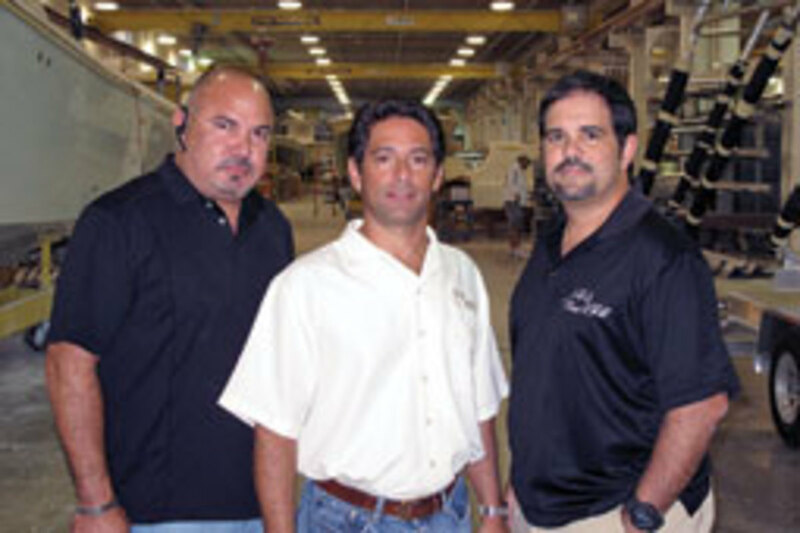 Ariel Pared is vice president of sales and marketing for SeaVee Boats in Miami. 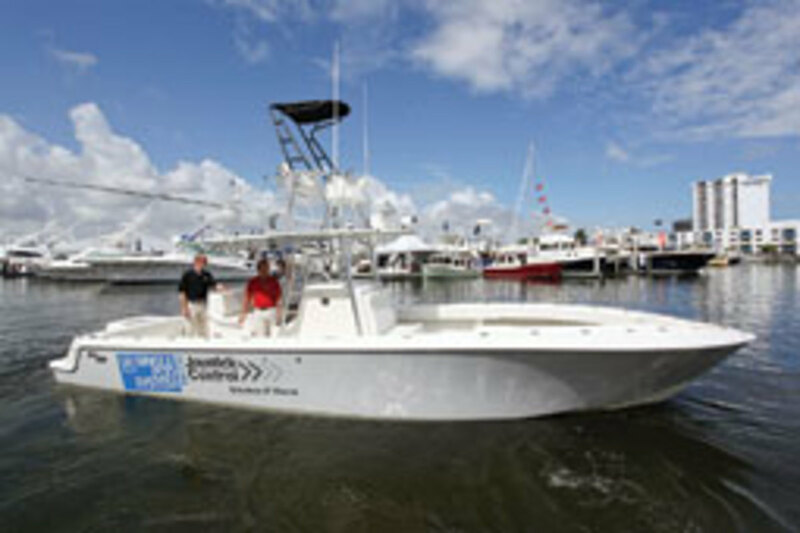 In 2008 SeaVee became the first company in the United States to build a center console with pod-drive propulsion, a 39-footer. Pared, 43, and his partners, Ralph Torres and Moises Rodriguez, debuted a 34-footer with a single 480-hp Cummins MerCruiser diesel linked to a ZF Marine pod drive (www.zf.com) at the Fort Lauderdale International Boat Show - a first. SeaVee (www.seaveeboats.com) also displayed its new 43 Express with Volvo Penta IPS600s. Pared was born in Cuba and his family moved to the United States when he was 3 years old. He was raised in Miami and still lives there with his wife, Ginny, and their two children, Jacob, 15, and Jason, 10. 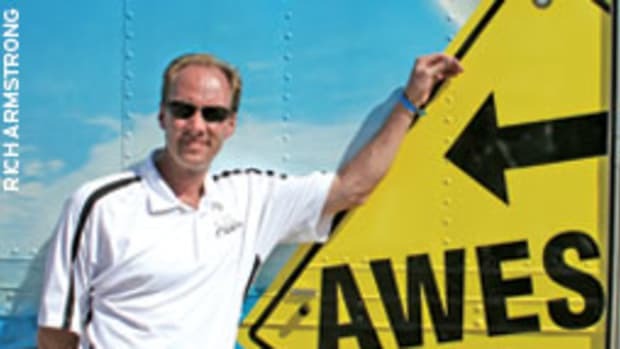 An avid fisherman, Pared runs the company&apos;s IPS-powered 39-foot Open in tournaments in Florida, the Bahamas and the Florida Keys. Q: Tell us about your new boat with the single ZF pod drive. A: We really have made a commitment to the pods. They are the future. IPS only works in twin applications, so it works for our 39- and 43-foot models. So we were looking for something we could use in the 32- to 34-foot range. This is a clear choice. We never really thought about a single engine, but when ZF approached us we were interested right away. It&apos;s the first single-pod boat ever built in the U.S., and it&apos;s the only center console boat - outside our IPS boat - that has pod propulsion. So we&apos;ll have the only two center console pod boats in the market. I am building [the 34-footer] as my boat for the season so I can spend a year on it and really get a feel for it to see what I like and don&apos;t like and be able to make a good decision if we bring that boat into full production. Q: How will a single pod drive work in a 34-foot boat? A: It&apos;s powered with a single [Cummins MerCruiser Diesel QSB5.9-480], which is connected via a jackshaft to a single small pod from ZF. We&apos;re using it in conjunction with a heavy-duty bow thruster. The unique thing is most of the pods turn between 22 and 30 degrees. This pod actually turns 180 degrees, and it has the ability to work with the bow thruster. It&apos;s a 110-volt bow thruster. In our case, we are using an inverter box from 24 volts to 110. So the thruster is supposed to be capable of one hour of continuous use. It can actually spin a boat for a solid hour. Q: The boat is based on your existing 34-foot center console, correct? A: We took our 34, which has always been available with twins or single inboard diesel, and modified it. We had to modify the inner liner a little, and we had to modify the hull bottom for the ZF pod. It was not that big a deal because we do a lot of our own tooling. And the rest of the boat, outside of the modifications for an oversized thruster, remains the same as the 34 we currently build. 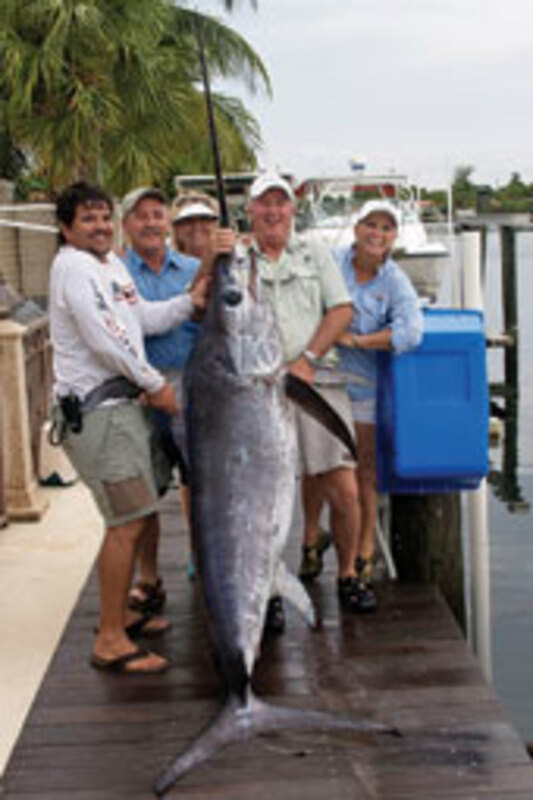 We plan to fish this boat in some of the tournaments during sailfish season. Q: You also have a new 43 Express coming out. A: We debuted the outboard version of the 43 Express last year, and we have been retooling for what we call the 430 IPS. We used the same 43 hull, but pretty much everything else is new. We built a new inner liner, a new engine room and moved the fuel system. The boat is 43 feet, with a 13-foot, 4-inch beam. It has a private stateroom, a forward V-berth, a full galley and a dry head. It&apos;s a pretty big boat. We&apos;re running the twin Volvo Penta IPS600s in there. 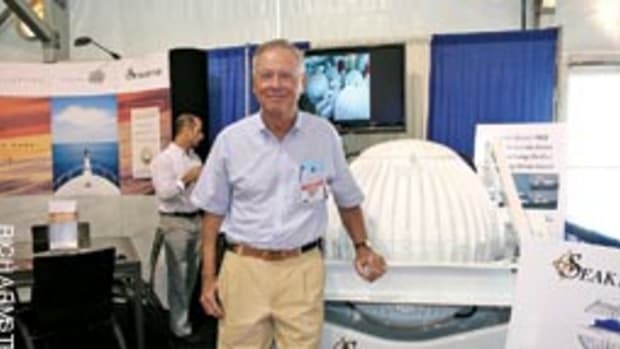 Q: How are SeaVee boats built - materials and methods? A: Our boats are 100 percent hand laid. We use all vinylester resin. We vacuum-bag probably 50 percent of our core material. We use PVC foam core. It&apos;s probably the most expensive core material on the market, but we like the bonding characteristics. Our boats spend seven to 10 days in the mold. We build the hull. We install the stringers, which are all one piece. Then we install the bulkheads. That way the glass on our stringers runs continuous. We vacuum-bag the hull sides. We install our fuel tanks, inner liner and bond it all as one before it pops out of the mold. This process takes time, but we think it gives us a better product. 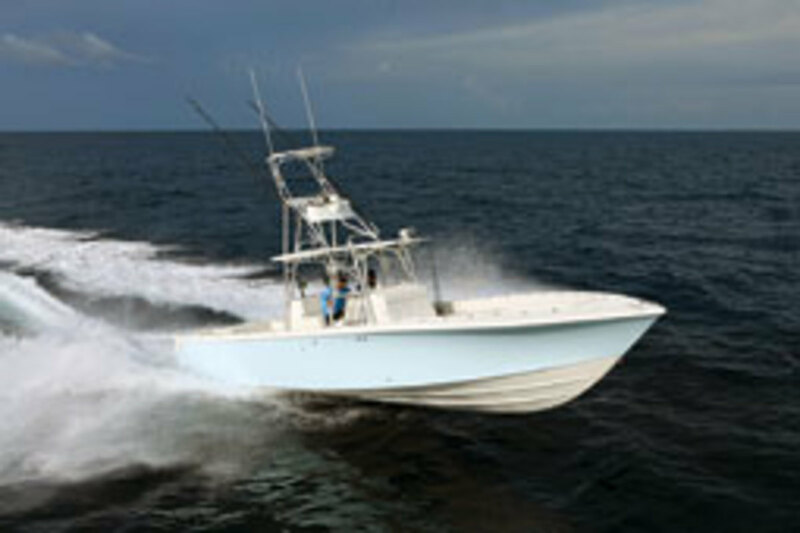 Q: What are some qualities that make a good fishing boat? A: Layout is critical. Our boats are known for storage; there is a place for everything. We build a three-piece boat - a hull, inner liner and deck. That allows us to give the owner 360-degree fishability. It allows us to build more compartments. Bait wells and fishboxes are important. A lot of it boils down to knowing your customer. If you know who you are building for, you&apos;ll know what you need to do. 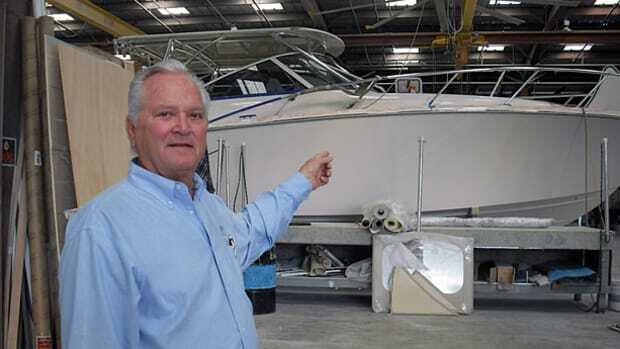 Q: SeaVee sells its boats factory-direct. What are some advantages to that approach? A: One of the big advantages is we spend a lot of time with our customers. That not only helps with product development, but also helps us quickly identify problems with various components from other vendors. These problems wouldn&apos;t get back to us as quickly - or not at all - if we had to go through the dealer network. We control the entire experience. We&apos;re able to sell the boat, outfit the boat, rig the boat, live with the boat and even control the delivery process and service the boat and engines. There are [also] benefits in product quality versus price. 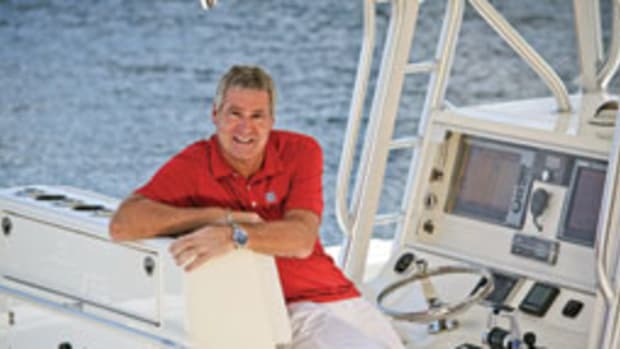 From 10 to 20 percent is what a dealer normally has to make, so you&apos;re limited in what you can spend in manufacturing the boat and delivering a quality product. We build the boat the best way we know how to. Our boats spend seven to 10 days in the mold. We don&apos;t use any premade wiring harnesses. Everything is a single connection. It takes a lot of time. We also offer a lot of custom work, which the dealer can&apos;t do. 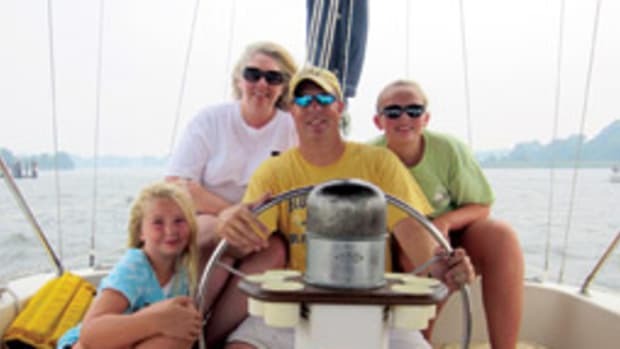 Q: Who is the typical SeaVee customer? A: Our customer is looking for a boat he can run offshore, whether it&apos;s the canyons or the Bahamas. He wants to be able to clean the boat and put it away easily. Q: Your customer base is primarily the Southeast. Do you have plans for expanding into other areas? A: We have a pretty good market in the Southeast. We have our factory in Miami, and we have an office in West Palm Beach, which is just an hour-and-a-half away, but it&apos;s a totally different market. We&apos;re in the process of opening another office in the Keys. So we&apos;re going to saturate our market in our area. Q: When did you get into the boatbuilding business? Rodriguez and Ralph Torres. We all grew up together and went to high school together, and this kind of fell in our lap. I never quite thought it would be as big as it has gotten, but it was a venture we wanted to take. 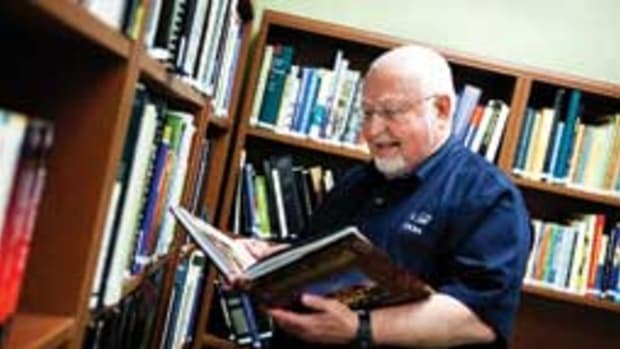 Ralph runs manufacturing and new products; he puts it all together. He is vice president of manufacturing. Moises is in charge of the finances and the day-to-day operations in the office. My role is sales and marketing. Q: What were you doing before you bought the company? A: Moises and I were in the communications business. We had retail locations for cell phones, beepers, pagers. We had just sold it in &apos;92 as that market was crashing. Then I bought a SeaVee 31 center console. 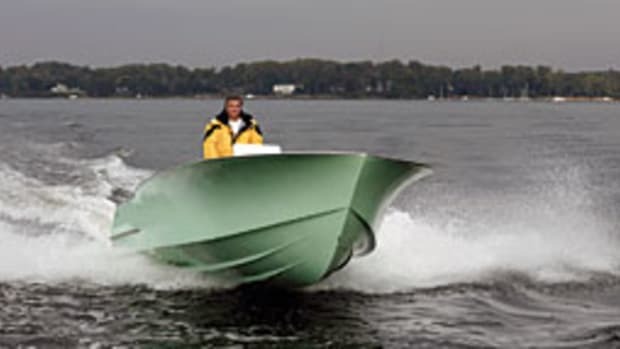 Q: If you look out five to 10 years, what changes do you see in powerboats from 20 to 40 feet? A: Propulsion is definitely going to drive the bus. These boats are going to demand bigger propulsion packages. There will definitely be more people in the pod business. The traditional inboard is going to go away, I think. We will see bigger outboards and better fuel efficiency. 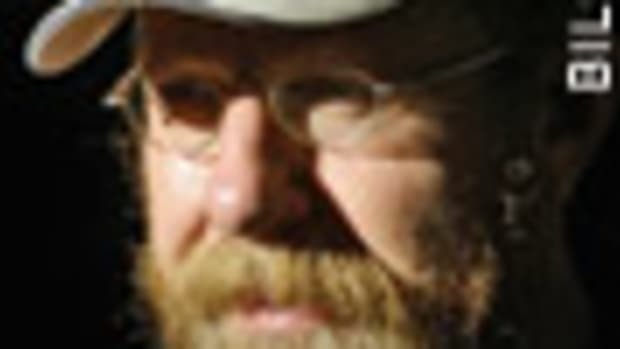 Q: How will boatbuilding be different post-recession? A: There will be less opportunity [for sales], but also a lot less competition. The giants who were doing finance deals and package deals - you couldn&apos;t really compete with that. So we&apos;re pretty excited. We&apos;re poised to come out of this in good shape. We have new product. We have our reputation. This is the time for the smaller guys to make a bigger mark. A lot of the production guys do a good job, but a lot of it was rushed - get it out, get it out - because there was such a demand for it. Q: What areas do boatbuilders and designers need to improve in? A: The consumers will be looking for quality, reliability and the follow-up - the service of the boat. As manufacturers, we need to do a better job at making the boat serviceable and easy to maintain. I see a lot of these boats with gimmicks - stuff that doesn&apos;t belong on a boat. You&apos;re going to go out and throw this [boat] around in 4-foot seas and everything that&apos;s plastic or cheap isn&apos;t going to make it. Q: What do you like to do on the water? A: We fish. Nine out of 10 times I am out fishing, whether it&apos;s here or in the Bahamas or the Keys. If I am out on the water, there usually are rods on the boat. This year, I have 12 tournaments I will fish. We sponsor quite a few of them, and we fish almost every one of them. The boat I fish on is the 390 IPS. Q: And you fish with your customers, correct? A: Yes, that&apos;s right. My team - the guys we&apos;ve been fishing with for three years now - consists of three customers. Now they&apos;re friends, but I met them as customers.